Ron Mann's new documentary ALTMAN is an in-depth look at the life and times of filmmaker Robert Altman (M*A*S*H, McCabe and Mrs. Miller, Nashville, The Player, Gosford Park, and many more.) While refusing to bow down to Hollywood's conventions, or its executives, Altman's unique style of filmmaking won him friends and enemies, earned him world-wide praise and occasionally scathing criticism, and proved that it IS possible to make truly independent films. The very term “Altmanesque” has come to denote a cinematic style characterized by dark humor, chaotic choreography, overlapping and sometimes murky dialogue, multi-layered storylines, iconoclastic characters, omniscient cinematography, and a seat-of-the-pants ensemble approach to imagining and crafting a film. With the late director himself acting as guide, ALTMAN takes the audience on an expansive and revelatory road trip through the highs and lows of this uncompromising visionaryʼs life and career. ALTMAN is renowned filmmaker Ron Mann's new impressionistic documentary celebrating the life and art of Robert Altman, the genre-busting maverick filmmaker whose half-century career reinvented not only what a movie could be but also how we might view ourselves. Robert Altman has long been known as a man who took Hollywood by the throat and never let go, but his rise to prominence was not a fast one. It was only after toiling in relative obscurity through much of the 1950s and 1960s as a maker of industrial films and as a respected if unheralded television director that he lucked into a gig at the helm of an off-beat Korean War film about a ragtag medical team operating a mobile surgical unit near the front lines. Those of a certain age might well recall the buoyant, off-kilter thrill of experiencing M*A*S*H upon its release. With its airy fly-on-the-wall floating narrative and dead-eyed critique of the status quo, Altman plunged us into his grim but comedic vision of men and women on the fringe of both war and sanity. It was here that the Altman template was more or less set. M*A*S*Hʼs genre- and technique-twisting modus operandi would alternately endear him to audiences coming of age (and rage) in the era of Vietnam and Watergate and mark him among the budget- and image-conscious Hollywood execs as a force to be reckoned with but never counted out. Altmanʼs oeuvre set the frontier Western on its ear (McCabe & Mrs. Miller, 1971), meditated on horror and schizophrenia (Images, 1972), transformed noir gumshoe Phillip Marlowe into a mumbling nebbish (The Long Goodbye, 1973), presented an hallucinatory tapestry of a self-obsessed America perched to devour itself (Nashville, 1975), stared coldly at tarnished iconography (Buffalo Bill and the Indians, 1976), journeyed into the female soul (3 Women, 1977), critiqued the flimsy ritual of marriage (A Wedding, 1980), gave surreal life to cartoon characters (Popeye, 1980), bared the ugly essence of Nixonian political corruption (Secret Honor, 1984), empathized with artistic neglect (Vincent & Theo, 1990), satirically castigated the culture of celebrity (The Player, 1992), ruminated on the fickle role that chance and luck play in our lives (Short Cuts, 1993), revisited the city of his youth while co-mingling two indigenous American art forms: jazz and film (Kansas City, 1996), observed the destructive influences of class and power (Gosford Park, 2001), and reveled in pure Americana (A Prairie Home Companion, 2006). His unflinching dedication to collaborative creation is illustrated through all the crowning glories, misses, near misses, catastrophes, and utter catastrophes of Altmanʼs career. Altman himself acts an impish, deadpan guide through Mannʼs deft and recognizable use of archival footage, images, and interviews. 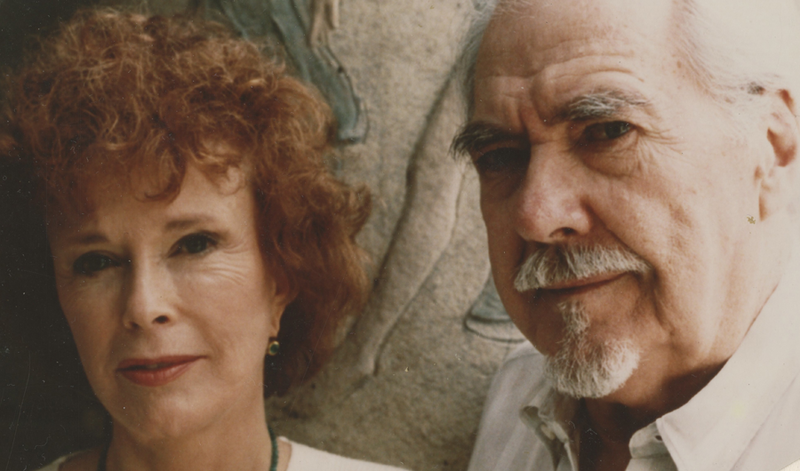 In this first-ever feature film tribute to Robert Altman, Mann gives his audience unprecedented access to the Altman vault. Utilizing choice clips from his dozens of films, and new cameos with key Altman players (Lily Tomlin, Robin Williams, Lyle Lovett, Julianne Moore, Elliott Gould, Sally Kellerman, Philip Baker Hall, Paul Thomas Anderson) and family members (Altmanʼs widow Kathryn), Altman is the first documentary to present the director and his work in an inspired form that echoes Altmanʼs own approach. Like a jazz musician taking a long, always unpredictable half-century solo, Altman was in constant motion, relentlessly blurring the line between his life and art. From his relatively genteel childhood as the son of an insurance salesman with a weakness for poker, in an otherwise rough-and-tumble Depression- and Prohibition-era Kansas City, through dozens of WWII bombing missions in the Pacific Theater, to his over-extended apprenticeship as a director of industrial and exploitation films, and his years of work as a go-to television helmsman, Altman's late emergence as a take-no-prisoners cutting edge artist was a surprise to just about everybody – except, perhaps, himself. And when his slow fall from show biz grace led to self-imposed exile in France, he countered with a comeback in a series of cherished films and was embraced by the very industry that left him on the scrap heap. Was there ever another director so alternately reviled and acclaimed by critics and executives alike? Or one in whose hands no script (if there even was one) was safe? Poet, prophet, scalawag, gambler, outsider, raconteur, husband, ex-husband, father, grandfather, lover, heart transplant recipient, Robert Altman never ceased to paint a cinematic portrait of the world around and within him. The perplexing, enigmatic joy of human behavior expressed in his art changed the manner in which films are made and experienced. Indeed, much of what is now labeled "independent cinema" can be traced to Altman and all the tools in his toolbox. It has been said that there are no second acts in America. The mere existence of Robert Altman and his unruly canon would seem to refute F. Scott Fitzgerald's aging aphorism. Or maybe there were no second acts with Altman at all — just one long ride down a rolling river, surviving by wits, and wits alone. Ron Mannʼs film is a profound exploration and celebration of Robert Altman: the man, the myth, and the movies. ALTMAN stands as a tour-de-force documentary, imbued with the aesthetics of its subject and chronicler alike; a truly “Altmanesque” study. Canadian filmmaker and producer Ron Mann is renowned for his genre-bending approach to documentary cinema that explores art forms and contemporary popular culture with vision and verve. From jazz (Imagine the Sound, 1981), spoken word (Poetry in Motion, 1982), comics (Comic Book Confidential, 1988), dance (Twist, 1992), marijuana (Grass, 1999), car culture (Tales of the Rat Fink, 2006), and fungus (Know Your Mushrooms, 2009), Mannʼs films invoke the ethos and spirit of his subjects in resonant and contemporary ways. A partner and collaborator in every sense, Kathryn Reed Altman is Robert Altmanʼs widow and mother to two of his sons, Robert Reed Altman and Matthew Altman. They met in 1959 when he was directing an episode of the television series Whirlybirds, in which she had been cast. She was deeply involved with every one of his projects thereafter. Associate producer of Tanner ʼ88, co-producer of Kansas City and Jazz ʼ34, and a producer of Tanner on Tanner, Matthew Seig continues to manage Robert Altmanʼs copyright and legal affairs. In 2005, Anderson was hired as a back-up director for the shooting of Altman’s final film, A Prairie Home Companion (2006), as the insurance company wouldn’t insure the film without one. Anderson’s 2007 film There Will Be Blood is dedicated to Robert Altman who, in his later years, acted as Anderson’s mentor. James Caan appeared in several early projects in Altman’s career. In Countdown, he played a doomed astronaut on a mission to the moon, and in “Survival,” an episode of the television series Kraft Suspense Theatre, he played an escaped convict on the run from the law. Keith Carradine made his debut screen appearance as a naïve cowboy in Altman’s 1971 film McCabe & Mrs. Miller. From there, he went on to appear in two other iconic Altman projects from the 70s: Thieves Like Us and Nashville. He also starred in Alan Rudolph’s film Welcome to L.A. (1976), one of the first films Altman produced through his production company Lion’s Gate Films. Elliott Gould began his working relationship with Altman playing the brash, sardonic Trapper John McIntyre in M*A*S*H. In their subsequent collaborations, they reinvented the figure of the Los Angeles private eye Phillip Marlowe in The Long Goodbye (1973), before exploring the collision of compulsive gambling and unlikely friendship in California Split (1974). His final two films with Altman are, in fact, uncredited appearances as himself: first, in the sprawling 1975 ensemble piece Nashville, and again 17 years later in The Player (1992). In 1984, Philip Baker Hall joined Altman in his efforts to put Donald Freed and Arthur M. Stone’s play Secret Honor to the screen. Baker Hall portrayed a fictionalized Richard Nixon, appearing throughout the film’s 90-minute running time in its only on-screen role. After more than a decade of working in film and television, Sally Kellerman appeared as the beleaguered “Hot Lips” O’Houlihan in Altman’s M*A*S*H. She became a lifelong friend of Robert and Kathryn Altman, and appeared in several other Altman projects, including Brewster McCloud (1970), and Prêt-à-Porter (1994). Singer-songwriter and actor Lyle Lovett has appeared in four Altman films, The Player (1992), Short Cuts (1993), Prêt-à-Porter (1994), and Cookie’s Fortune. Additionally, he contributed music to the soundtrack for Altman’s 2000 film Dr. T & The Women. Julianne Moore appeared in two Altman films: as the dissatisfied Marian in Short Cuts, an ensemble study of chance encounters and fateful events in suburban Los Angeles, and as the dimly compliant Cora in Cookie’s Fortune, a comedy of errors set in small-town Mississippi. Michael Murphy made his television debut in “Survival,” an episode of the television series Combat! directed by Robert Altman. His collaborations with Altman span the entirety of his 40-year career, and include TV series [Tanner ’88 (1988), Tanner on Tanner (2004)], TV movies [Nightmare in Chicago (1964), The Caine Mutiny Court-Martial (1988)], and feature films [Countdown (1967), That Cold Day in the Park (1969), MASH (1970), Brewster McCloud (1970), McCabe & Mrs. Miller (1971), Nashville (1975) and Kansas City (1996)]. After establishing herself as a successful comedienne, Lily Tomlin made her feature film debut in Altman’s sprawling and shrewd exploration of America’s country music heartland in Nashville (1975). She later appeared in Short Cuts (1993), and alongside Meryl Streep as one part of the songstress duo the Johnson Sisters in Altman’s final film A Prairie Home Companion (2006). Following the success of his appearance on Happy Days, Robin Williams starred in its popular spinoff Mork & Mindy. He made his feature film debut in Altman’s big-budget adaptation of Popeye, as the titular strongman, alongside Shelley Duvall’s Olive Oyl. In The Player, Altman’s withering critique of Hollywood’s machinations, Bruce Willis appears as himself, playing the starring role in the film-within-a-film Habeus Corpus alongside Julia Roberts. ALTMAN make the Globe and Mail’s “top 5 docs” for 2014 list! When one’s name inspires an official dictionary adjective, it must be said that one has definitely made their mark. The adjective in question is Altmanesque, in reference to the late/legendary filmmaker Robert Altman. "...a beautiful and naturalistic portrait of a man, not just his work." "Mann’s well-researched and authorized doc hits all the high notes of Altman’s six-decade career"
"A neatly structured remembrance of one of Hollywood's greatest directors." 4 Stars! Altman captures the spirit of a man who built sandcastles over and over"
"...a pretty decent biography of the director, which should serve to please both longtime fans and newcomers." "...a very good tribute to the great American maverick"
"Altman- Ron Mann’s intimate documentary of iconoclast filmmaker Robert Altman – “I make gloves, they sell shoes,” he says in the film, about his relationship with movie studios – hits select theatres on Friday. "Mann puts the alt in Altman"
"A Fond, Enjoyable Portrait Of A Legendary Filmmaker"
"Ron Mann's Altman the only Canadian film at Venice"
"Bob was about heroic, independent filmmaking that stands in contrast to Hollywood’s addiction to making nothing but sequels and comic book superheroes." "I see a lot of short, medium and feature-length films about directors, and sadly, I am usually disappointed by something. But Ron Mann’s "ALTMAN" satisfied my bio-doc needs: strong linear structure, interesting archival footage, good interviews and narration and no abuse of movie excerpts. ALTMAN actually relies on its own solid research and editorial savvy to remain captivating for 95 minutes..."
"...an affectionate, moving portrait of the legendary director of such era-defining movies as M*A*S*H, McCabe & Mrs. Miller, California Split and Nashville"
"the strongest impression one comes away with is indeed of Altman as an unorthodox family man—creating an extended professional tribe over the course of nearly forty wildly varied films." Ron Mann takes the maverick Robert Altman on his own terms — and in his own words — in a stirring, comprehensive tribute doc. 3 Stars! "Ron Mann’s affectionate tribute to the filmmaker Robert Altman"